Auto title loans are offered by auto title lenders who offer financing options to lenders. Auto title loans are short term loans offered as advance cash after the borrower pledges his car as collateral against the loan. The cash given is only of a fraction amount compared to the actual value of the car. The amount you wish to borrow varies from person to person. Generally, the amount borrowed is 50% of the car value. Cash always attracts borrowers. A transaction as simple as an auto loan can be very tempting since it involves hot cash. Auto title loans are very common in the US, but one can never be too careful. The transaction can also result in fraud and loss of your car. Lenders will tempt you by saying that loaning money is not an issue and that they own the bank and you can repay whenever you can. In reality, things are different. 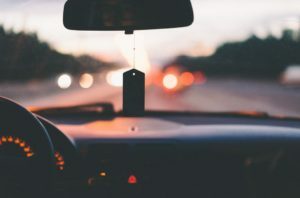 As soon as your paid-for-car is a possession of the lender you need to reclaim possession in the future and until that is done, you can enter in a lot of financial trouble. Make sure before entering in such a transaction you vet the lender and make sure you can repay the loan on time. If the car is already pledged elsewhere, you cannot secure it against an auto title loan. These loans are secured loans, which means once you pledge the car you will be given 100% cash advance and in case you don’t end up repaying the amount in the given time period, the lender has the right to take possession of your car. In case of delay, if there is a mutual understanding between the lender and the borrower, the lender will charge one month interest on the outstanding amount and rollover the loan for another 30 days. Auto loans are normally given for a period of 1 month. If an interest rate is charged and the loan is rolled over, the transaction will be very expensive for the borrower. Before pledging the car against a loan, one should be certain that the financial crunch is temporary and the loan will be repaid in 30 days to avoid any additional charges. Unlike credit card loans, car title loans have a different category for charging interest on overdue amounts. Worst case scenario, the borrower has to pay up to 250% of the outstanding loan. You may think that a 25% interest on your credit card is high enough. In reality it’s peanuts compared to the high auto title interest rates. If you are having a financial crunch, its difficult that you will get out of it sometime in the near future unless you have debtors who have to pay you more than you owe. Pledging your car for money that isn’t worth the value is not a wise move. You will have to provide verification to the lender including duplicate car keys, GPS tracking and proof that you won’t run away with the money and the car. How to avoid Auto title loan risks? Keeping an emergency fund is the only way to avoid a financial crunch life. Work harder, do extra jobs and save up to 6 months of your personal expenses to ensure if ever you reach a point where you require cash you can withdraw it. Investing the money in a savings account is a good option, since you will get quarterly profit and your investment will be safe from spending temptation as well.